In the teachings of the Buddha, the practice of giving claims a place of special eminence. One which the Buddha singles out as being the foundation and seed of spiritual development. For all who benefit from the Dharma and aspire to attain liberation for the benefit of all suffering beings, it is vital to understand how ‘pure offering’ and generosity are as important as all the Three Turnings of the Wheel of Dharma. In the Pali Suttas we read time and again that the “talk on giving” was invariably the first topic to be discussed by the Buddha in his “graduated exposition” of the Dharma. Whenever the Buddha delivered a discourse to an audience of people who had not yet come to regard him as their teacher, he would start by emphasizing the value of giving. 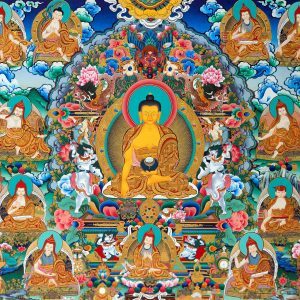 Only after his audience had come to appreciate this virtue would he introduce other aspects of his teaching, such as the Law of Karma, the benefits in renunciation and the compassionate path of the great Bodhisattvas who practice the Six Perfections. Only after the value of pure offering and generosity had made an impact on the minds of his listeners would he expound to them that unique discovery of the Awakened, the Four Noble Truths. 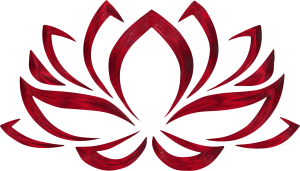 Over time the Buddha gave the core teaching of giving up attachment through meditating on the view of emptiness found in the Heart Sutra, and finally he revealed the teachings on Buddha Nature found in the Lotus Sutra. The most profound Offering of the Dharma. Traditionally the teachings of the Buddha and the Dharma are supported by donations. Classes, empowerments, and the presence of the Sangha and teacher are dependent upon the alms provided by the community and those seeking. All our practices and ceremonies are for all beings, yet you can request prayers by either sponsoring the entire or partial support of a ceremony on auspicious days. 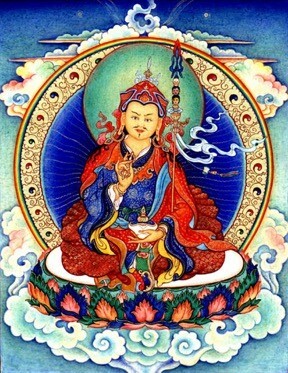 We dedicate the merit for all sentient beings’ enlightenment in general, and in particular for you and your loved ones. Basic donations are as follows and are due at the beginning of each month or before the start of a class or activity. $35 per month allows you to attend and/or access the broadcasts/recordings of one class of your choice. $65 per month allows you to attend and/or access the broadcasts/recordings of two classes of your choice. $85 per month allows you to attend and/or access the broadcasts/recordings of three classes of your choice. $100 per month allows you to attend and/or access the broadcasts/recordings of four classes of your choice. (Note: the Monday Zhitro class needs special permission from Khenpo Sonam to attend). These are the basic minimum monthly donations for classes at Lhundrup Choling. Please note that the Center is existing on month to month basis and depends on the monthly donations for its very survival. Any donations above the minimum are sincerely appreciated and will go a long way in ensuring that Lhundrup Choling will continue to exist in the Los Angeles area as a place to study and practice the profound teachings of the Buddha, and especially those teachings of the Ancient Nyingma School of Tibet. Donations can be submitted by check or cash at the center. You may also submit the donation through Paypal to: lhundrupcholing@gmail.com. Please send as a gift or as a friend to friend. Please do not send money as a payment when using this method. Otherwise please add 2% to your donation to cover Paypal charges. Also, for your convenience we have Paypal buttons at the bottom of this page. When sending money please include any notes specific to its purpose and your intentions. Regardless of how you donate please email Zopa at lhundrupcholing@gmail.com to ensure that your donation is recorded, and that you receive the necessary passwords to access the live USTREAM broadcasts and archived recordings. Live broadcasts and archived recordings are password protected. These passwords are changed at the beginning of each month and sent out to those who are up to date with their monthly donations, along with directions on how to access the broadcasts and recordings. Previous recordings of the ‘Basic Space of Phenomena and Trekcho’ will only be available as a separate class in recorded format only. These are restricted teachings and permission from Khenpo Sonam will be needed for new students to access them.